A pâte de fruits is a type of traditional French confectionery made of a set fruit paste. The flavour of the fruit is concentrated, similar to making a jam, with sugar and pectin, before setting and dusting with sugar. 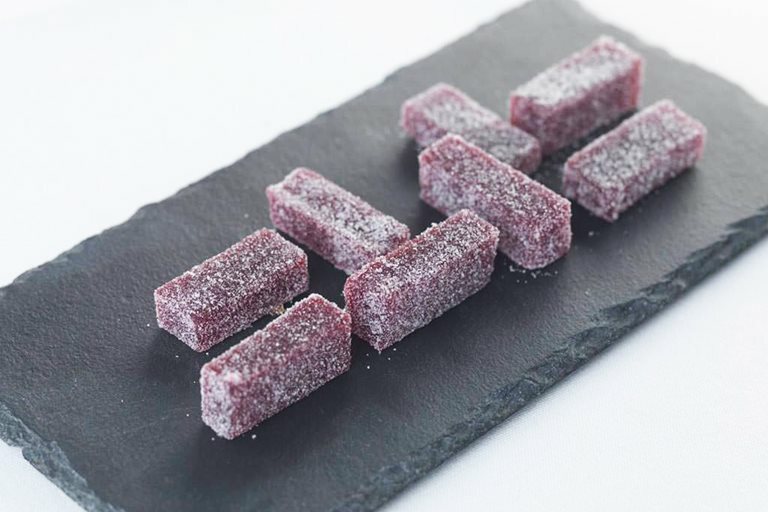 Often made with orchard fruits such as quinces, apples, apricots or plums, Frances Atkins' opts for vibrant raspberries for a delicious sweet or petit four.